This painting was included in Expression Gallery's group exhibition: "Changes: Seasonal, Environmental and Life", October 11th, 2014 – January 9th, 2015. “Changes: Seasonal, Environmental and Life” opened last night at Expressions Gallery in Berkeley, and the show ends on 9 January 2015. Gallery Hours: Wed - Sat 12 - 5 PM Sunday 12 - 3 PM and by appointment. It was a fun night - nice music, wine and snacks and I met several new fellow artists and some old friends who came to see my works. 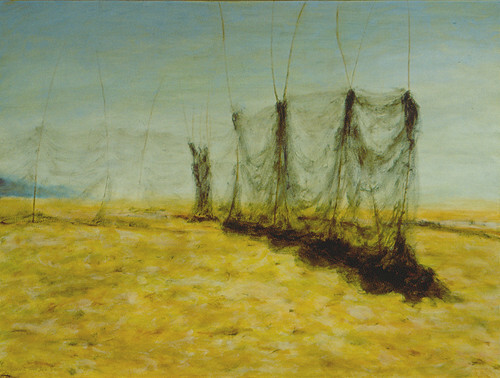 Selected for Juried Exhibition: Scapes: Land, Sea & City - Pacific Art League, Palo Alto, November 2011; Juror: Maria Medua (San Francisco Museum of Modern Art Artists Gallery at Fort Mason). More details about the show: "Scapes: Land, Sea and Urban" Juried Exhibition at Pacific Art League, Palo Alto, California. 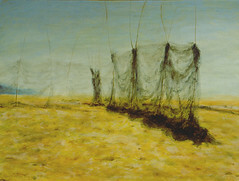 This painting was included in two-person show at Trilogy Studio, San Francisco, 2011.